Included on the panel was liberal “minister” Jim Wallis, editor of Sojourners Magazine and adviser to Barack Obama. During the discussion, Wallis contended that the Bible mostly focuses on taking care of the poor and disadvantaged, and is not against homosexuality. Wallis then began to discuss a recent evangelical rally that he participated in that focused on immigration reform, and asserted that the Bible is more interested in kindness to strangers than sexual activity between those of the same gender. The audience then began laughing and clapping. 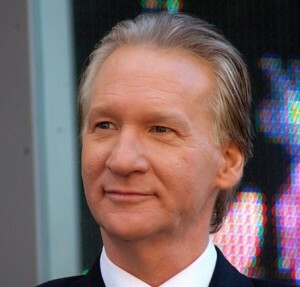 “Fundamentalism is just reading what’s there and taking it literally,” Maher contended. During the discussion, former New York State Governor Elliott Spitzer, who resigned from his post in 2008 after the discovery of his involvement in a prostitution ring, stated that “fundamentalism” needs to be kept out of politics. However, some have strongly disagreed with Maher and the panel.